#50. Stream in the Yosemite Valley. 19.5 x 27, oil on cardboard. "Gilbert Munger" lower left. 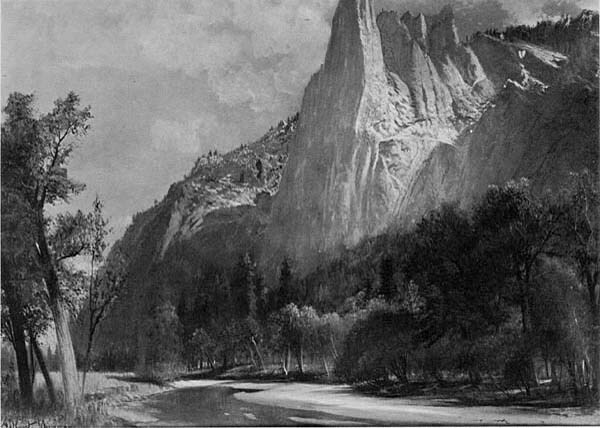 Merced River with Sentinel Rock at right. Sold at Christie's London (King Street) auction of 13 Feb 1970, lot 57, for $554 to the London dealer Frank T. Sabin, who transferred it to Kennedy Galleries, New York, in Mar 1970. See painting #40 for the pre-1970 provenance. IAP 61022190. See Kennedy Quarterly 10, 1, 1970, p. 6; and Kennedy Quarterly 15, 3, 1977, p. 169. 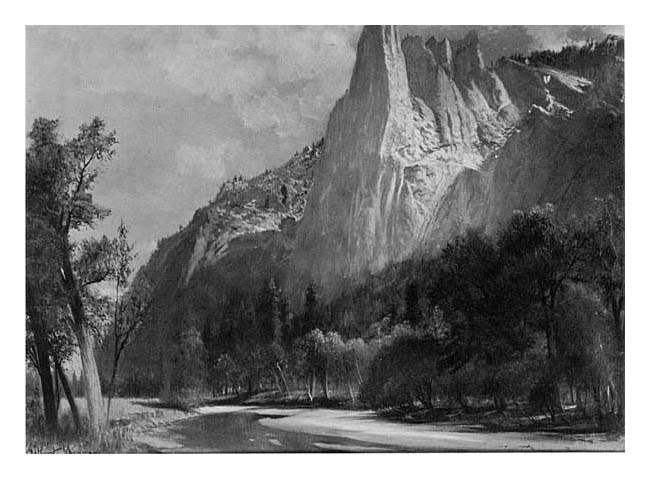 Image from 1970 plate.